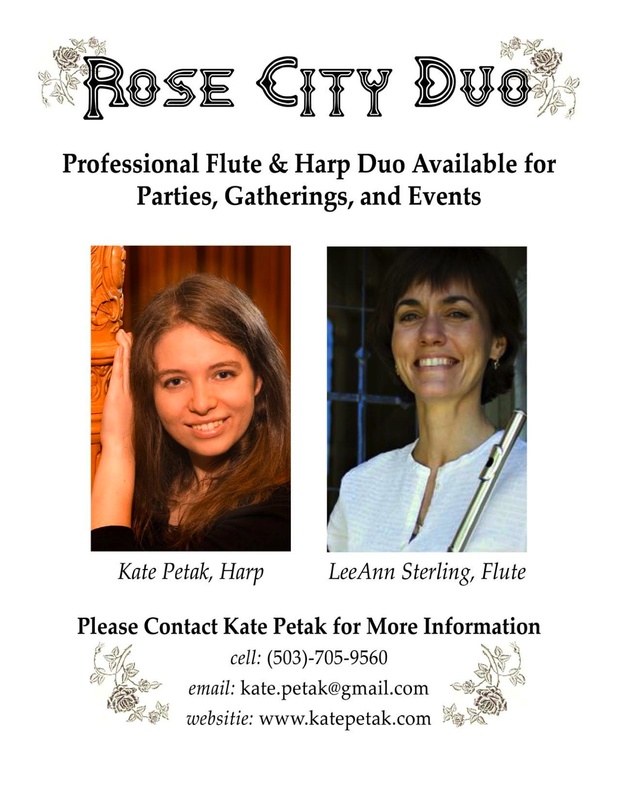 LeeAnn Sterling, flute, and Kate Petak, harp, create an elegant duo for parties of any size, weddings, art galleries, museums, or concert halls. With repertoire including holiday music, Christmas carols, light classics, and more, the duo is sure to add the perfect touch to your event. Contact me for more information. Copyright Kate Petak 2008. All rights reserved.